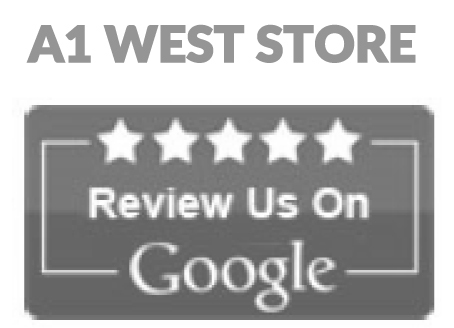 We Reward Our Customers Like No Other Furniture Store Around! Loyalty rewards are our way of rewarding our awesome customers for their loyalty & patronage to us. These rewards come in the form of special A1 Gift Certificates as our customers help us out in various ways. They're Not Coupons! Keep in mind, we’re not talking about coupons or special offers with a minimum purchase, we give our loyal customers gift certificates that are good as cash on anything that we sell! You Can Add Them Up! You can collect multiple gift certificates that can add up to some serious buying power on your next purchase! Here Are Your Rewards & Perks Opportunities! Collect multiple gift certificates & get furniture for next to nothing when you refer your friends & family and they purchase with us! This is, by far, the most popular & exciting reward available to our awesome customers! Simply put, every referral you send that purchases with us, you will receive a $25 A1 Gift Certificate. Here’s the kicker, though, you can collect a limitless number of these to add up to some pretty incredible purchasing power! Share it with your friends - Send your friends in and when they purchase with us make sure you TELL them to mention you at the time of purchase. * We’ll even help you get the word out with an easy way to send your friends quick email and an exclusive coupon that you can send them. Learn more here. Get your reward - Once you find out your referral has received their new furniture, just shoot us a quick email. Make sure you include your name and the name of the friend you referred. Once we hear from you, we’ll send you your referral reward, right away. 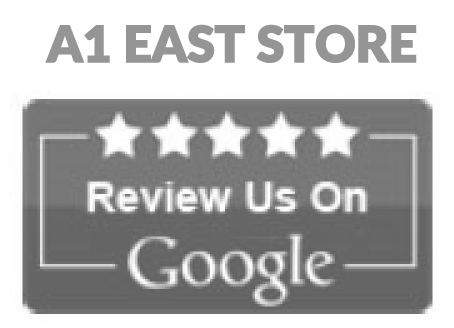 Enjoyed shopping at A1? Please, let us (and the entire internet!) know about it and earn review rewards! Take just a couple of minutes to give us an online testimonial and we’ll say a big “Thank You!” by giving you a special gift for your kind words! After you post your testimony we’ll send you an A1 Gift Certificate (Keep in mind, this isn’t a coupon, this is real A1 store credit for you to use towards your next purchase!). Send us quick email to notify us that you posted a review for us, we’ll quickly veri-fy it and then send you the gift certificate right to your email. Prefer posting on YELP? We have a very special way of saying “Thank You!” for your review, as well! Further details, contact us here. On Facebook, Twitter or Pinterest? Earn additional Loyalty Rewards when you share on select social media platforms! FACEBOOK – Earn a $10 Gift Certificate just for SHARING a pic of your new furniture and & TAGGING A1 in the post on your Facebook page! TWITTER – Earn another $10 Gift Certificate just for TWEETING some kind words about A1 & SHARING a pic of your new furniture! PINTEREST – Earn another $10 Gift Certificate just for SHARING a pic of your new furniture and mentioning some kind words about A1 on the post. Just when you thought all those rewards were awesome enough, there’s even more ways you get to benefit for being a loyal A1 customer. “It pays to stay in-touch.” Seriously, it really does. We love doing things to show we appreciate our custom-ers! That’s were LOYALTY PERKS come in! A Random Customer Chosen to Receive A Surprise Gift of Appreciation! Other Unique Ways to Earn or Win More A1 Gift Certificates! Exclusive Special Offers & Coupons! How Do I Get These? Stay connected with us via email, so make sure you have given us your email at the time of your last pur-chase. (If you did not at the time of purchase, you can sign up to receive loyalty perks right HERE. *Full Disclosure: All reviews, posts & comments provided may be used for advertising purposes for A1 Furniture.